You could get this work installed for FREE - click here for info. If your home was built after the 1930s, the chances are that its external walls are made of two ‘skins’ with a small gap between them. This means they are ‘cavity walls’ and the gap between them can be filled with insulating material to stop the warmth escaping to the outside. 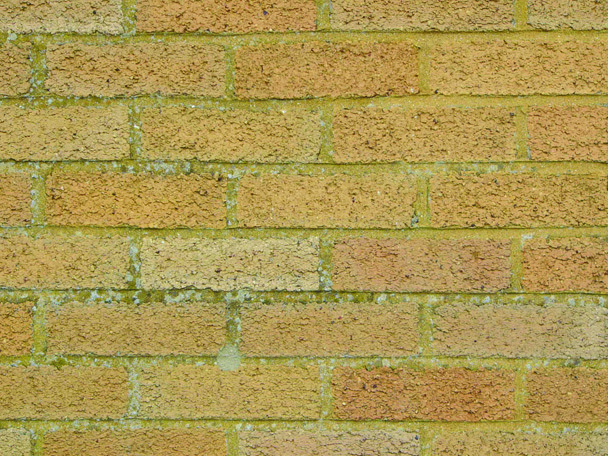 To find out whether your home has cavity walls, look at the brick work. 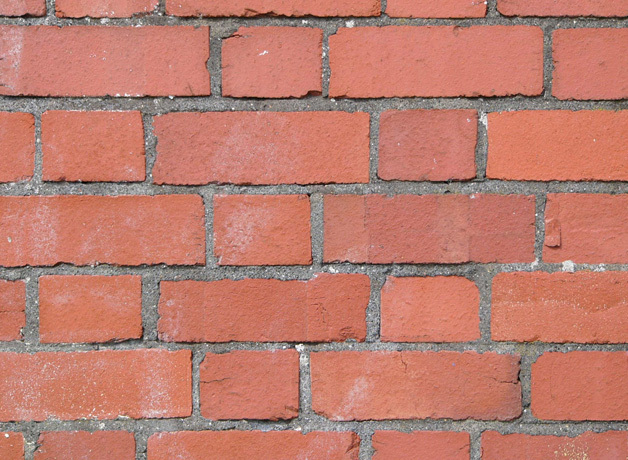 If the bricks of your walls show only their long sides (as in this photo) your home has cavity walls; if they show an alternating long-short-long-short pattern (like in this photo) then your home has solid walls. Cavity wall insulation can cut your heating bills so much that it will pay for itself quickly. What’s more, there are grants and offers available to help pay for cavity wall insulation. For professional installers, the job is simple, quick (about two hours) and makes no mess. But where the following situations apply, and where no remedial action is appropriate, cavity wall insulation should not be installed. Some walls can also be unsuitable for cavity wall insulation. In all cases if you’re thinking about cavity wall insulation, always check with a registered installer who will assess whether your home ticks all the right boxes. If your home is not suitable for cavity wall insulation, why not think about external or internal solid wall insulation? The most common way of insulating cavity walls is by drilling a series of small holes, each around 25mm across (about the diameter of a ten pence-piece) into the mortar at regular intervals and injecting the insulation material into the cavity. The holes are then refilled once the insulation has been blown in. Some installers make use of a telescopic lance system for walls that are hard to access. New-build properties often have rigid insulation boards fitted into the wall cavities as part of the construction process. The most common material used in cavity wall insulation these days is polystyrene 'beads'. Those in the image below have a carbon coating for extra performance. Polystyrene beads are more popular than alternative materials – mineral fibre and expanding foam – because they are more effective at keeping the heat in, and don't absorb moisture. Beads are also quicker to install as they can be blown easily and far into the cavity, reaching awkward areas (e.g. where there is a conservatory, shed or car port) without the need to drill lots of holes in the wall. This means there's less patching up to do afterwards and also no need to use scaffolding which adds to the cost of the work. We estimate that savings for a typical gas-heated, 3-bed semi are as follows (correct as of April 2013). For larger homes, or those heated by electricity or oil, the savings will be significantly higher. Finance options for energy efficiency improvements like cavity wall insulation are no longer available under the Green Deal or Energy Company Obligation. However, there may be a grant scheme in your area offering free or discounted cavity wall insulation. Your local authority may know. The British Board of Agrément. You should also make sure that your installer is signed up to a code of professional practice like those provided by the NIA, and that the installation is guaranteed for 25 years by CIGA. Won’t cavity wall insulation cause damp? Many people, including some building professionals, believe that wall cavities should never be filled and that insulating cavity walls will inevitably lead to damp bridging. This is simply not true. To date, around 4m UK homes have had cavity wall insulation retro-fitted. The number of cases where cavity wall insulation has directly caused damp bridging is very small indeed. Where water penetration does occur this is usually due to defects in the construction of the property and not due to the faulty or inappropriate installation of cavity wall insulation. Defects, like cracks or pre-existing damp problems can easily be spotted by a competent assessor and can usually be remedied, meaning that the walls can be insulated and damp problems avoided. This is one reason why it is so important to have a proper assessment carried out before any insulation is put in. Any reputable installer will be registered with the Cavity Insulation Guarantee Agency (CIGA). The CIGA guarantee is for 25 years and covers problems that are caused by the faulty or inappropriate installation of cavity wall insulation. If you have cavity wall insulation already and are worried that there is a problem with it then you can contact CIGA to check whether your guarantee is still in place. Where a defect in materials or workmanship is involved CIGA always seeks to resolve complaints to the customer's complete satisfaction. CIGA will have your property registered if the cavity walls have been insulated by an installer covered by the guarantee.